This Developer is designed to work best with Unison toner. 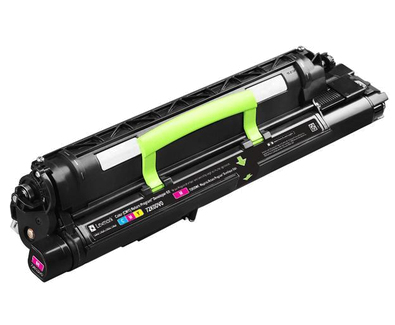 Essential to Lexmark print system performance, Unison Toner's unique formulation consistently delivers outstanding image quality, ensures long-life print system reliability and promotes superior sustainability -- all in an innovative shake-free print system. Lexmark Return Programme Developer Units are patented devices that are sold at a special price subject to the restriction that the developer unit may be used only once. Following the initial use, the customer agrees to return the developer unit only to Lexmark for remanufacture and/or recycling. The Return Programme developer units are designed to stop working once they reach their respective rated life (as established by Lexmark). In addition, the developer units are designed to automatically update the memory in your printer to protect against the introduction of counterfeit and/or unauthorised third-party cartridges.